Even with all the problems it had, interest in Pacific Rim 2 remains strong. The film recently cast John Boyega as son to Idris Elba’s character, and scheduled a February 2018 release date. But it appears that he won’t be the only actor to be in the film. 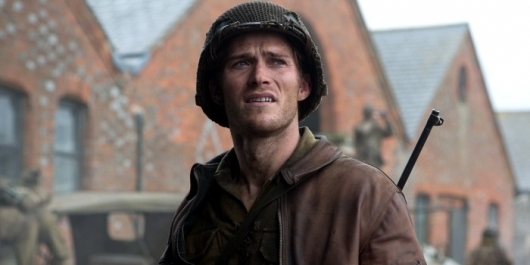 According to new reports, Scott Eastwood – Clint Eastwood’s son – may be joining Boyega for the larger-than-life bouts between the Kaiju and the Jaegers. More on the story below. 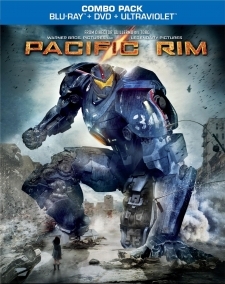 Whether a sequel to Guillermo del Toro‘s 2013 giant robots vs. giant monsters flick Pacific Rim would be made or not was unknown for a time. The movie cost $190 million to make, but, for reasons beyond human understanding, only made $101.8 million here in the States. Thankfully the movie still did strong overseas, scoring $111.9 million in China and $309.2 million overall, bringing its worldwide grand total to $411 million. 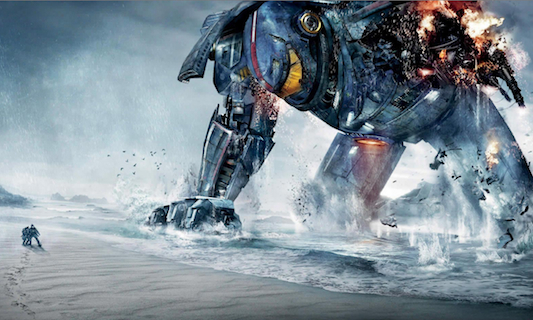 Because of this, Pacific Rim 2 has been confirmed and an official release date has been locked in. Also announced is the development of an animated series set in the Pacific Rim world and the continuation of the comic book series. Continue below to see a video of del Toro making the announcement. 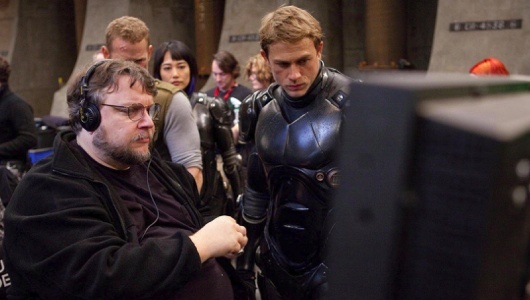 Thanks in most part to the Chinese box office, a sequel to Guillermo del Toro‘s Pacific Rim may actually happen. The film did gross $400 million worldwide, but had a weak $100 million effort in the U.S. Still a $300 overseas box office is nothing to scoff at, and with the film hitting Blu-ray and DVD shelves this week, there could be more of a push to get a sequel to get made. While the Legendary Pictures and Warner Brothers Studio partnership may be over, del Toro knows what fans want a sequel to happen. So in anticipation that he does get the greenlight, del Toro has says that he and Travis Beacham are writing the script to the sequel. 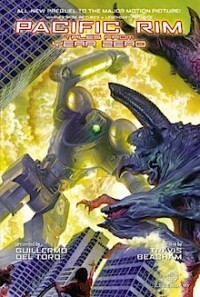 Presented by Guillermo del Toro and written by Travis Beacham, Pacific Rim: Tales from Year Zero serves as a prequel to Warner Bros. and Legendary Pictures’ Pacific Rim. Journalist Naomi Sokolov visits the Anchorage Shatterdome to interview Pan Pacific Defense Corps officers for a retrospective piece she’s writing about humanity’s battle against the Kaiju. When she arrives, she meets Tendo Choi who reflects on his experiences during “K-Day” (August 10, 2013), the day of the first Kaiju attack in San Francisco. When the Kaiju Trespasser attacked he and his dock workers helped civilians onto boats to protect them from the monstrous beast. Choi then tells the reporter about his grandfather Yeye, who he managed to successfully rescue from Chinatown before Trespasser smashed it into oblivion. 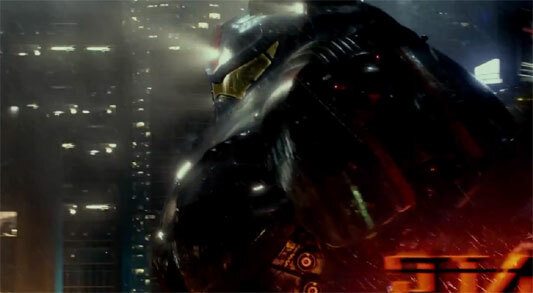 Warner Bros. and Legendary Pictures have unleashed yet another trailer for Guillermo Del Toro‘s apocalyptic action epic Pacific Rim. Since the movie is just a hair over a week from its theatrical release, this has to the final preview left in the studio’s arsenal. 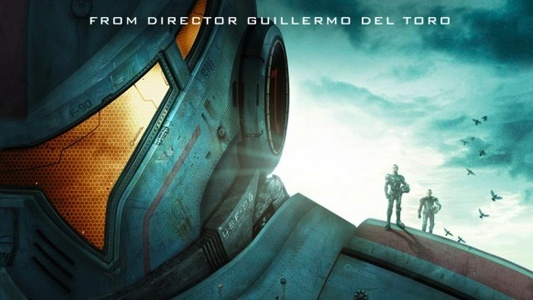 Whereas the marketing campaign so far has emphasized the CGI-enhanced spectacle Rim promises to deliver, this latest trailer concentrates on the characters that inhabit the universe created by Del Toro and screenwriter Travis Beacham. That small Black Hole tease that was seen in Tron Legacy was much more than just a tease, it was an announcement that Disney was going to remake the 1979 classic. Oblivion director Joseph Kosinski would take the remake of The Black Hole using a script written by Travis Beachman. At Oblivion‘s most recent press conference, Kosinski told interviewers that the remake was on. Hours later, THR confirmed that Prometheus scribe Jon Spaihts has been hired to rewrite the draft written by Beacham. The report doesn’t mention much about the story itself other than that it is going to be rewritten, but we can get a sense of what we might see in it given that Spaihts wrote the script for Prometheus, and who knows how the new film would have ended up if there were no rewrites to it. 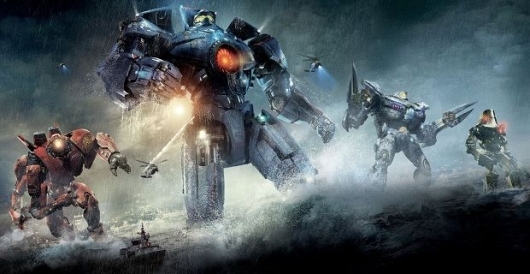 The massive monsters versus robots movie, Pacific Rim, is still many months away, but Legendary Pictures is clearly high on the movie and are trying to keep director Guillermo del Toro on their team for as long as possible. It’s being reported that the studio already has plans for Pacific Rim 2, and that del Toro and the first movie’s writer, Travis Beacham, are already set to begin working on the screenplay for the follow-up.